For over 25 years, the most authentic Oktoberfest celebration outside of Munich has been held in Addison, Texas. 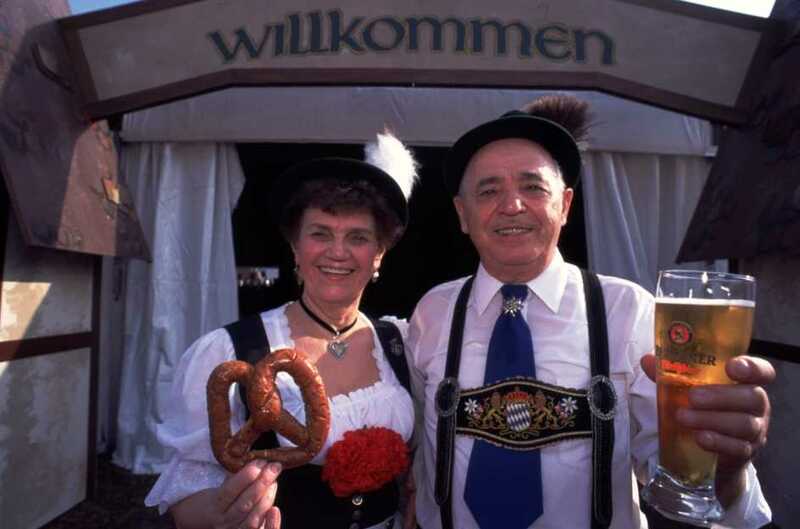 This year, over 70,000 fans will come together September 19-22, 2013 to share a love of polka, German food and, of course, the same Paulaner Bier that will be served at Bavaria’s favorite festival. This year, the Munich Evergreens travel from Germany to headline the entertainment line line-up, along with Grammy-award winning polka legends Brave Combo and dozens of authentic German entertainers. Oktoberfest guests, who visit Addison from all over the Southwest and beyond, will enjoy fun contests such as dachshund races, bier barrel bowling, a German Idol yodeling contest, a German spelling bee and more! Crave DFW lists some of the highlights here. Guests can enjoy the Teutonic tradition of kuchen and kaffee at the Oktoberfest’s authentic bakery and café. 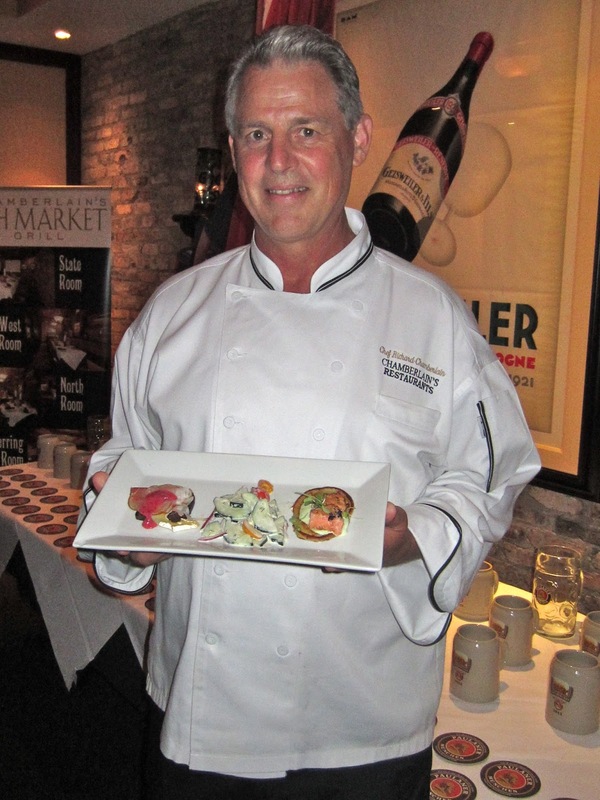 Or for those wanting a more intimate experience, you can register to dine at the Brau Haus, with full service Bavarian dining and an exclusive 3-course menu created by Chef Richard Chamberlain. Chamberlain has prepared a fantastic menu (that I got to preview last week) that will feature scrumptious menu options such as Smoked Salmon on a Potato Pancake with Chive Creme; Black Forrest Ham, Camembert Cheese and Pumpernickel with Lingonberry Sauce; Bavarian Braised Pork with roasted onion potatoes and Paulaner Jus; a Trio of German Sausages with braised red cabbage and a cinnamon apple strudel with salted caramel sauce. Seatings for the $49 package are available Thursday through Saturday and can be purchased online. This is SO WORTH the price because you also get admission to the festival, a souvenir stein and a $25 gift card to use at Chamberlain's Steak and Chop House or Chamberlain's Fish Market Grill. Discount evening tickets available at DFW area Albertson’s Market stores. Oktoberfest will be located at 4970 Addison Circle Dr.
Free parking located at the northwest corner of Dallas Pkwy. and Arapaho Rd.